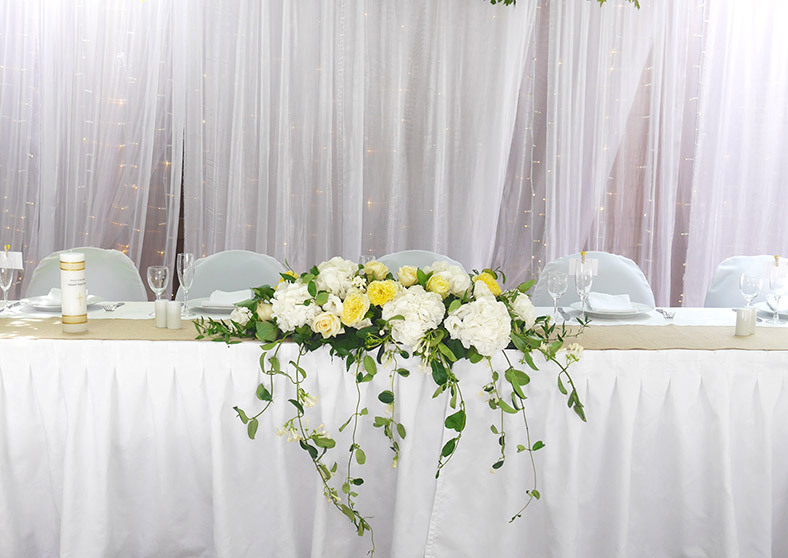 There is no better way to create the perfect ambiance for your wedding reception than by adding beautiful floral arrangements to your reception tables. Since your guests will be celebrating all evening in this space, it is where you want to go the extra mile to create a night to remember with stunning tablescapes and centerpieces. We carefully select the right blooms to fit your palette and the right style of arrangement to compliment your look, including gorgeous vase-ware, candle holders and details to make your guests say "wow".